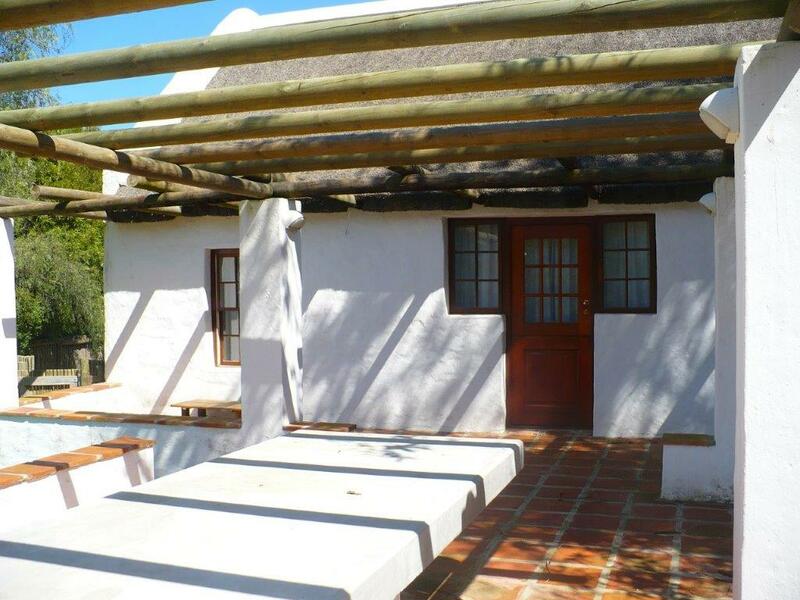 Buiten Cottage is a traditional unbaked-clay brick cottage with a thatched roof. It has been newly renovated with a fresh décor and modern finishes while preserving its old charm. 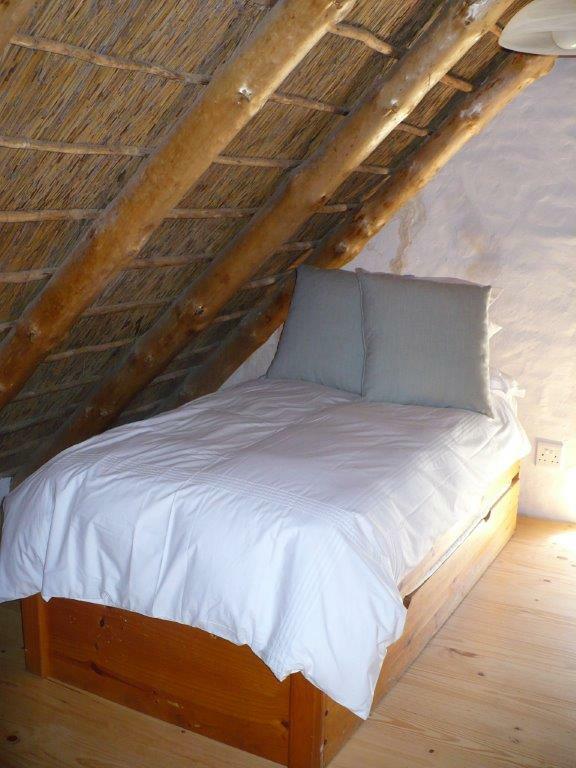 The cottage sleeps 5 guests comfortably. 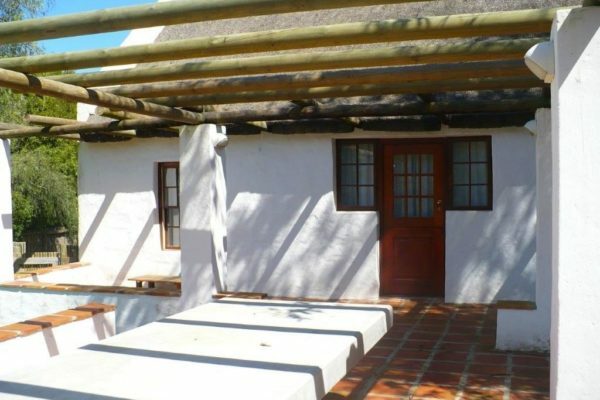 It offers 2 double bedrooms sharing a full bathroom with bath, shower, basin and toilet. One bedroom is situated downstairs (queen size bed) and the second bedroom situated upstairs (king size bed) in a loft area. 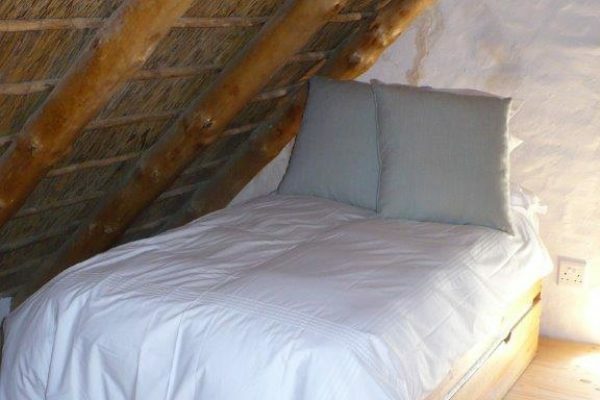 The loft area is accessed by ladder, and has a further single bed, with extra pull out mattress, sleeping 6 guests maximum – across a walkway from the main bedroom – in a separate area of the loft. 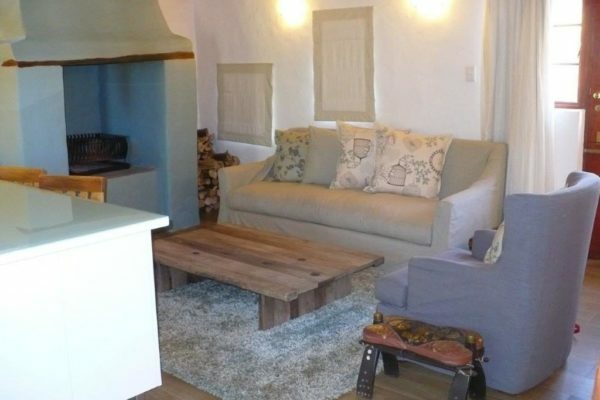 The living room is spacious and comfortably furnished with traditional big fireplace, open plan kitchen with 5-plate gas stove / electric oven and 4-seater kitchen counter. The outdoor entertainment area has a 10-seater built in dining table, weber braai facilities and overlooks the garden with beautiful mountain views. 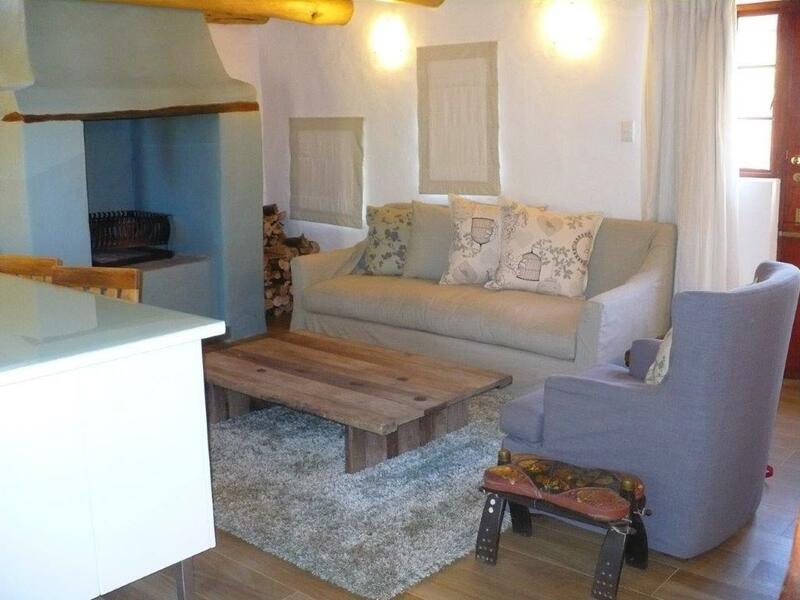 Situated within walking distance to the centre of the village, this cottage will meet with your requirements of good beds, linen, modern kitchen appliances, including Nespresso coffee machine. Off-road parking for two vehicles. 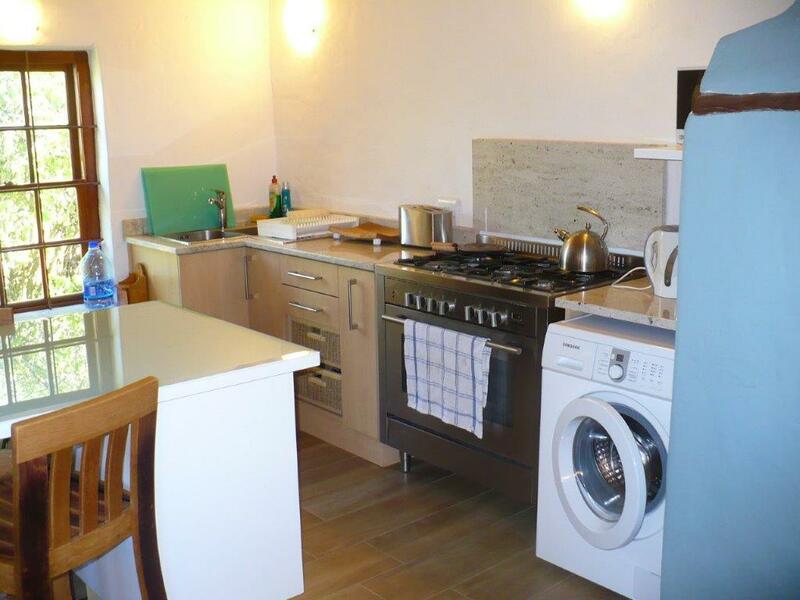 • Fully equipped kitchen with double door fridge/freezer, full size stove with 5-plate gas hob. 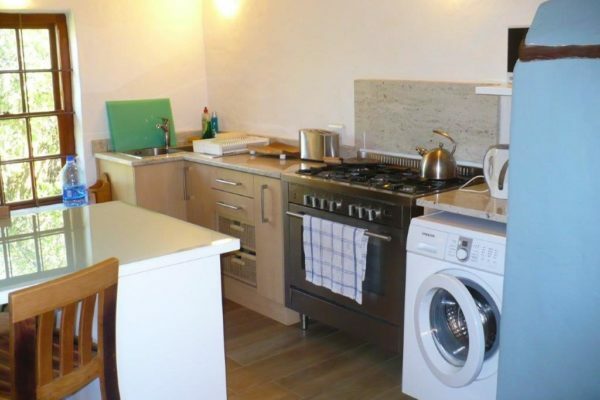 • Washing machine, microwave, Nespresso coffee machine, toaster and kettle. • balance due 3 days prior to arrival. • Children between 2-12 years old at R100 per child per night.